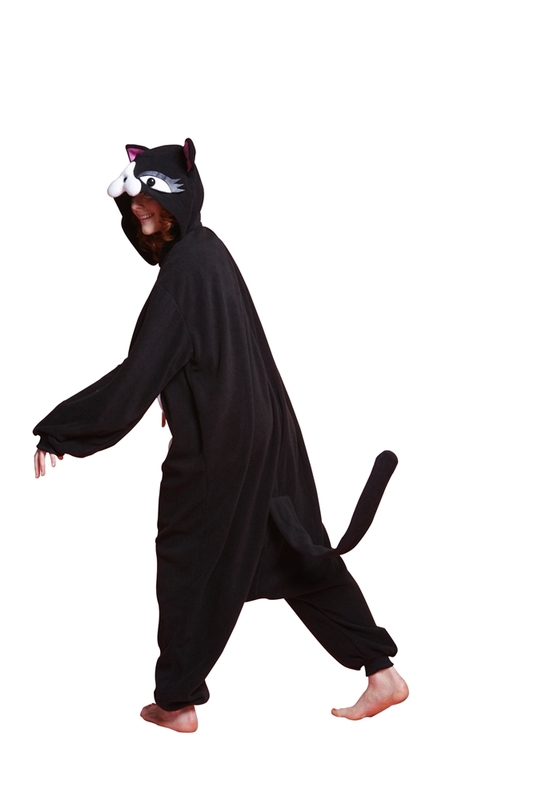 Meow went the woman and man in this BCozy Black Cat Adult Unisex Onesie. 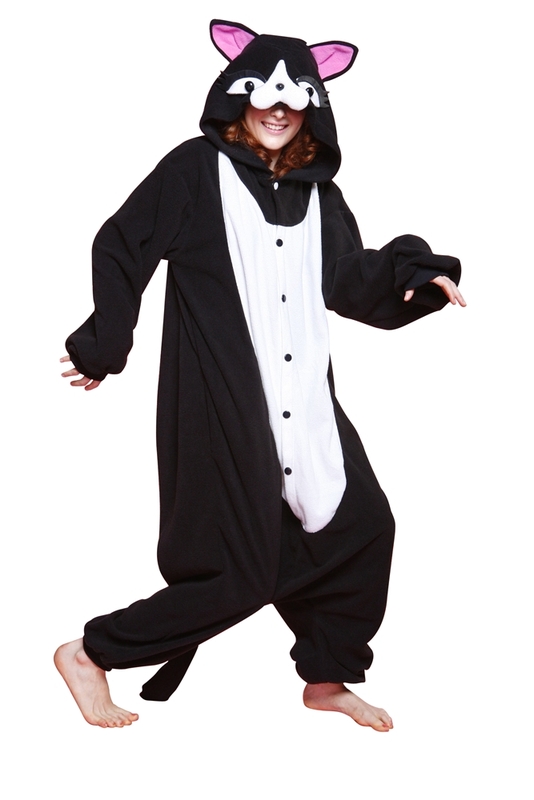 Made of 100% polyester, the cat-inspired adult onesie features a white underbelly with an easy snap-up button front, long sleeves, and an attached hood and tail. 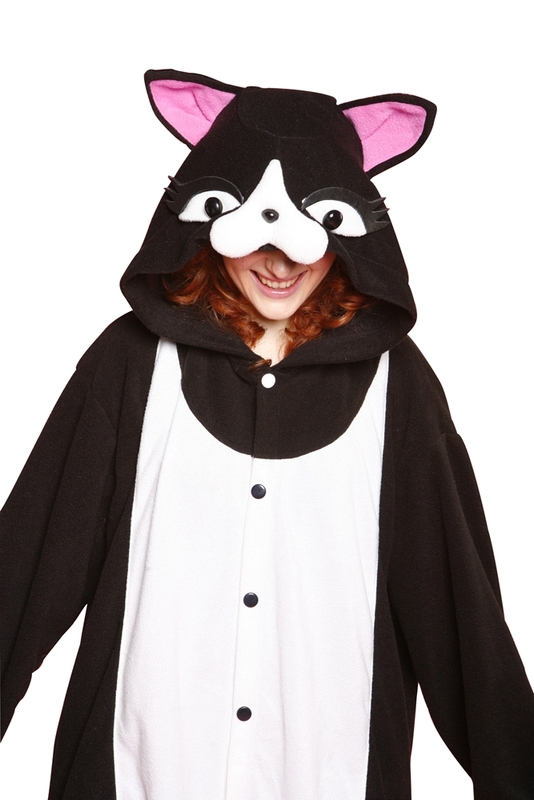 The attached hood is topped with two soft cat ears featuring pink liners, a stuffed white nose, and plastic black eyes with black eyelashes. 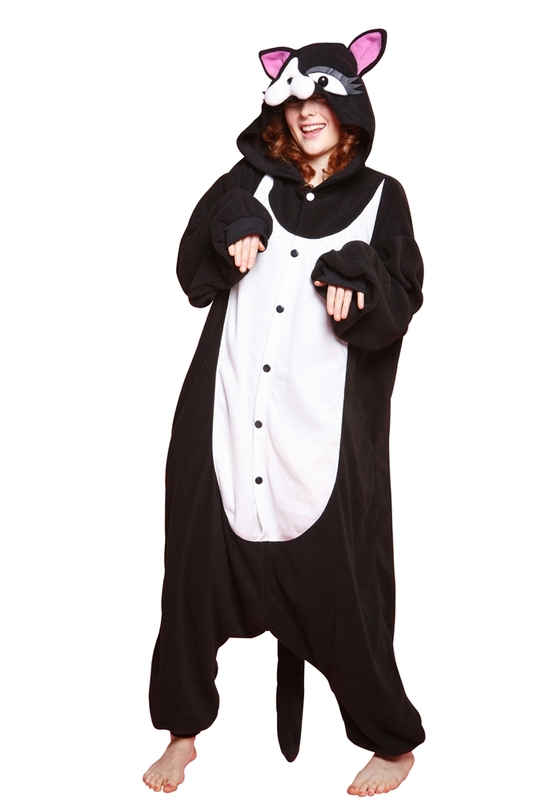 Purr-fect for strutting around in at Halloween or lounging in at home, the unisex black cat onesie fits most adults measuring: Chest (30-42”), Waist (24-30”), Hip (30-45”), and Height (60-69”).